Oromo leader Merera Gudina: the Biggest victim of Ethiopia state of emergency? Ethiopia’s parliament in August 2017 voted to lift a state of emergency imposed since October 2016. What started as a six-month measure to quell anti-government protests, eventually lasted 10 months. After the initial expiration in April 2017, the parliament voted a four-month extension citing the need to consolidate peace gains made during the initial period. At the time of the first expiration, the government was reporting of successes chalked, among others, the return to peace and the downgrading of some of the ‘choking’ measures under the emergency rule. The Command Post tasked with enforcing the curfew had reported mass arrests at a point, followed by rehabilitation and mass release of a number of protesters. Others they said, were being processed before court. Of the thousands that are still held in custody, one man, a major opposition voice in the country is clearly the standout figure around whom a lot of news and diplomatic back and forth revolves – Merera Gudina, PhD, Chairman of the Oromo Federalist Congress (OFC). 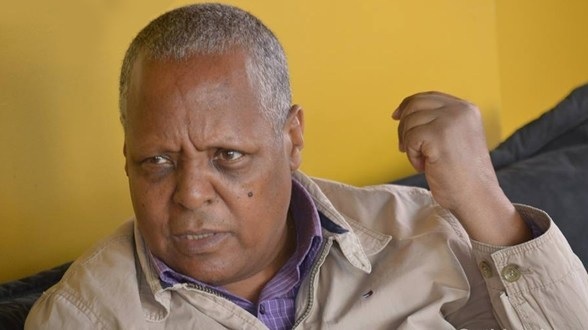 The arrest and continued detention of Dr. Merera Gudina has been slammed by Human Rights Groups – particularly Human Rights Watch. The European Union Parliament, a group of U.S. senators, members of the European Parliament (MEPs) have all waded into his particular case and that of Ethiopia’s democratic space and clampdown on dissent. Dr. Merera Gudina, a respected university scholar has been involved in Ethiopian politics for over four decades. He has become the embodiment of the current struggle for an open and democratic Ethiopia.